Top quality bedding. Lots of light and space. The owner didn’t insist on advance payment and allowed us to check in earlier. Fantastic location next to St. Peter's and Sant'Angelo (Ever wanted to wave to the pope from your window? You can now.) The palce is quiet enough despite the touristy area. Two spacious bedrooms, each with its own private bathroom. Well-equipped kitchen and food stores close the property. 10 min. 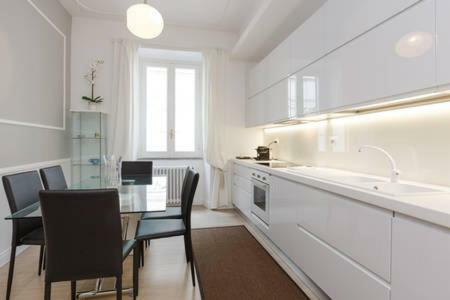 walking from metro, 15-20 from downtown attractions like Piazza Navona and Campo dei Fiori. All-in-all, an excellent place for vacanze romane. Hosts speak good English. The best stay what we can choose. 100 meters from Vatican, very nice personal, beautiful street where you can find mini-markets, restaurants and gelato. Acommodation was really awesome - clean, luxury and new. We have just returned from Rome. This was not our first time. But first in Apartment Divina. It is excellent. Spacious, very clean. There's a lift inside the building. Location is perfect. Close to Vatican, shops and restaurant. Host very nice and helpful. I would highly recommend. We will definitely be back. Everything was as described in booking.com. Clean room, the best location in Rome. The host helped us with everything we needed. Highly recomended! Amazing place only 300 meters from Vatican. Clean, silent and big. Spacious, newly renovated. Nice and helpful host. Vatican is few steps away. Sr Pablo muy atento muy amable nos ayudó con todo, una persona muy agradable; Los cuartos muy amplios con sus respectivos televisores, baños limpios, buena calefacción, casa muy bonita para pasar tiempo con familia. 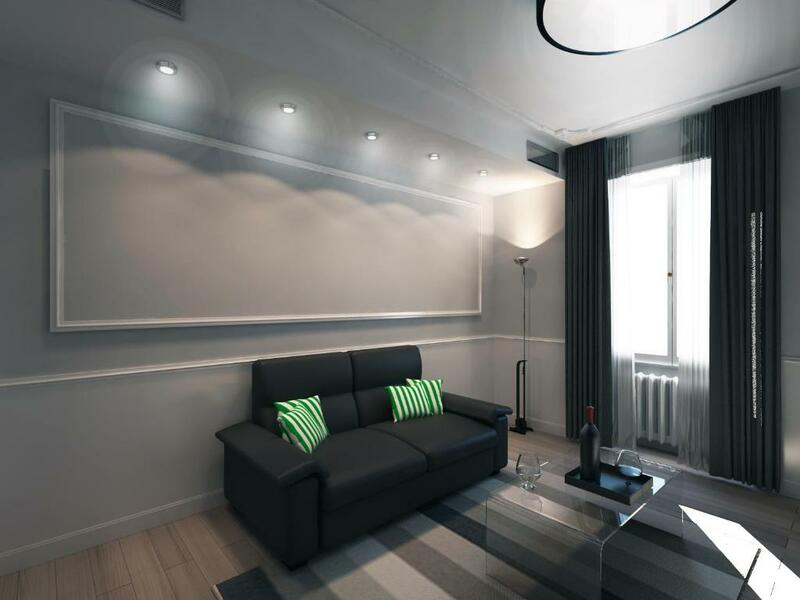 Lock in a great price for Apartment Divina – rated 9.6 by recent guests! 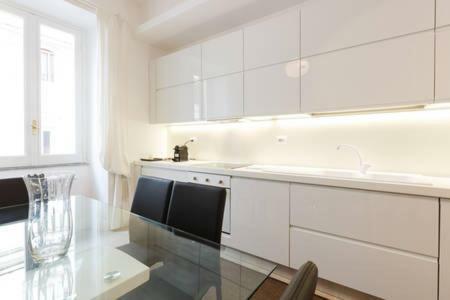 Apartment Divina in Rome provides accommodations with free WiFi, a 13-minute walk from St Peter's Square, 0.9 miles from The Vatican and a 19-minute walk from St. Peter's Basilica. 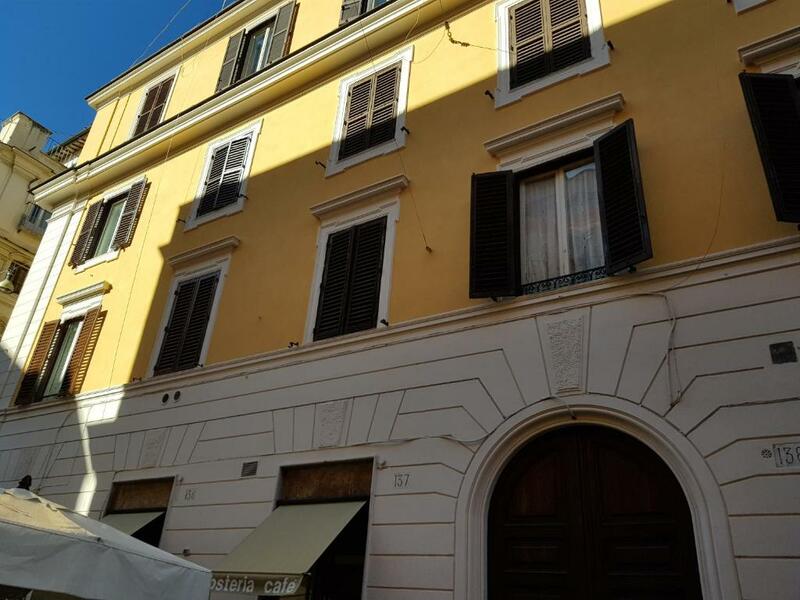 The property, housed in a building dating from 19th century, is 1.2 miles from Castel Sant'Angelo and 1.4 miles from Piazza Navona. 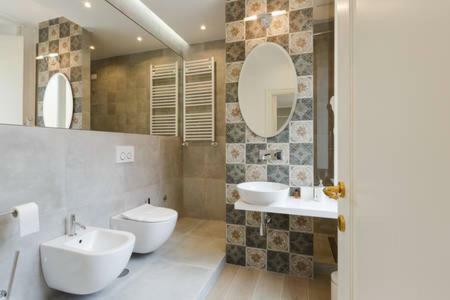 With 2 bedrooms, this air-conditioned apartment features 2 bathrooms with a bath and a bidet. The property is equipped with a kitchen with a dishwasher and oven. Campo de' Fiori is 1.6 miles from the apartment. Ciampino Airport is 12 miles from the property. When would you like to stay at Apartment Divina? 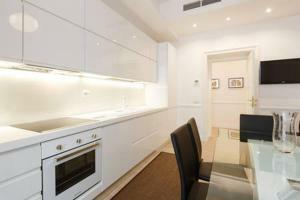 This apartment has a dining area, washing machine and air conditioning. A stone's throw from the Vatican and the splendid Basilica di San Pietro , the residential area of ​​Borgo Pio offers visitors a rich destination for stimulation and entertainment . Starting with the good Italian food : the fact Borgo offers an incredible variety of fashionable restaurants as well as bars and pizzerias where you can eat in or take advantage of the takeaway service. There are also local and wine bars in the surrounding area and also shops of all kinds where to purchase them within walking distance from Borgo : Via Cola di Rienzo , Piazza Risorgimento , Via Ottaviano . House Rules Apartment Divina takes special requests – add in the next step! Apartment Divina accepts these cards and reserves the right to temporarily hold an amount prior to arrival. Please inform Apartment Divina of your expected arrival time in advance. You can use the Special Requests box when booking, or contact the property directly using the contact details in your confirmation. Nothing significant. Just a suggestion to the owner to send a welcome mail in advance of the trip with clear instructions how to get keys. Rome is busy and congested, so just make sure your hosts are well aware of your arrival time. comfortable bed and spacious space. Only little things to mention: I would suggest to place duvet cover over the duvet because the flat sheet was keep slipping down. The air conditioner was a bit struggling to keep the heat down. We loved Apartment Divina very much! This apartment is suited only 2-3 minutes walk from the Vatican and 15-30 minutes from other attractions in Rome. On the street many restaurants, sandwich bars, souvenir shops and grocery shops are offering their goods. 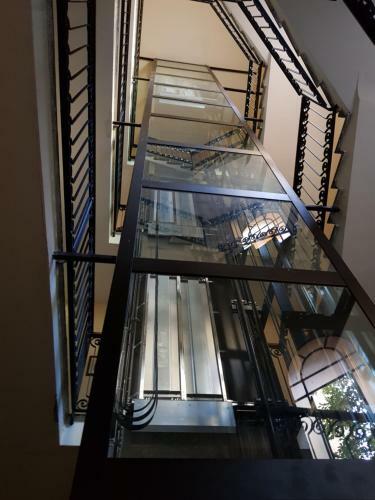 Our entrance to our apartment was through a safely locket gate leading to an inner yard, to the staircase and the elevator. The elevator operated by a key. This apartment was on the second floor. When you step in, the corridor opens to a beautiful, modern, fully equipped kitchen; two bedrooms and a separate cloak room. The rooms are huge, have their bedroom area, sitting area, built in wardrobes and ensuite bathrooms. One bathroom has a bath the other has a shower. The cloak room accommodates the cleaning equipment, the ironing board, and a toilet. The building has a charming shabby look from the outside, but the apartment renovated to a very high standard inside. The windows fitted with shutters, heavy curtains and air-conditioning is ensuring that the flat stays cool even in the hot Italian summer. We thoroughly enjoyed our stay in this apartment, our host looked after us very well, on our arrival we received 2 bottles of cold water and on our leaving croissant to take away with us. Paolo also organised our taxi transfer to the airport for 55 Euro / transfer. 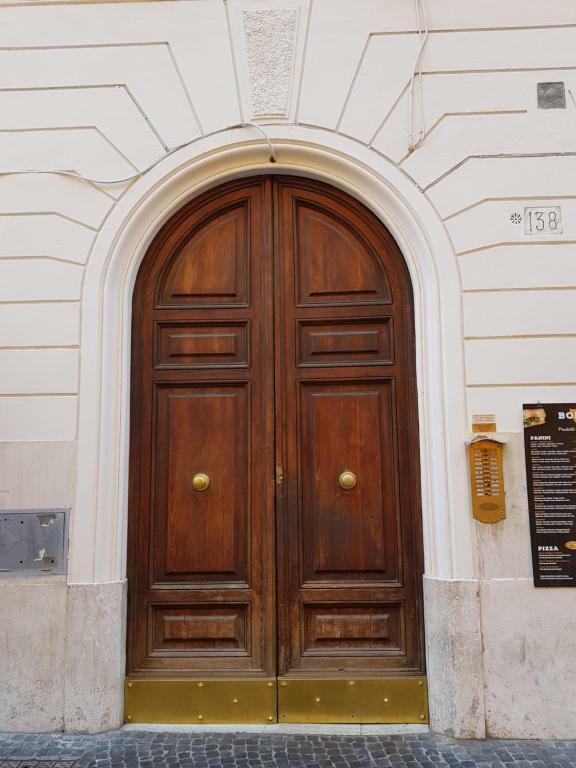 I definitely advise this apartment and if we ever go back to Rome I won’t hesitate to book Apartment Divina again.